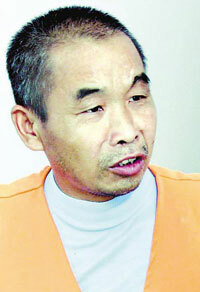 On this date in 2006, the People’s Republic of China executed a gentleman by the name of Qiu Xinghua. cut out the abbot’s eyes, heart and lungs and fried them in a wok. He had used the victims’ blood to write “Deserved to die” on the temple wall. The enormity of the crime, and the attempts by Qiu’s team to raise doubts about his sanity, attracted wide public attention in China.